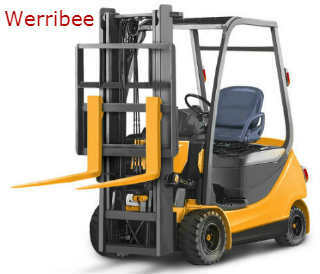 Want to Get Forklift Licence in Werribee? Here's What You Need to Do: - Be Certified Today! Are you an employer who is searching for ways to train your workers or an individual who wants to get into a new career as a forklift operator? Are you still a holder of an old-style certificate that was started back in the year 1995? You need to renew it because it is no longer being recognized and cannot be used to operate a forklift. Well, whoever you are or whatever your intention might be, you need to have a forklift licence in Werribee to legally operate these trucks. It is because forklift operation is considered high-risk work in Australia. A permit to perform high-risk work is required if you want to operate such heavy machinery. It is the law. Such licence is issued by WorkSafe Victoria. You need a high-risk work (HRW) licence which we are going to help you to secure one and to take the necessary forklift training. We prepared this article to guide you on this journey. Find a registered training organisation (RTO) where you want to take the training from – the list of training providers/RTOs in Werribee is below. The RTO will train you to get familiarized with the type of forklift truck you want to get a licence for. In some cases, the RTO will also help you complete the requirements and lodge your application for HRW license. Attend the classroom training – inside the classroom, you will learn the theoretical concepts in the safe operation of the forklift. Attend the practical training – as part of the course, you will have time to drive the forklift by doing the hands-on demonstration. Get evaluated by the instructor – The instructor will give you a set of instructions you have to perform. When you are getting assessed just be sure you read the training manual because most of the time the questions and instructions you will do during performance evaluation is based on the manual. Receive your certificate – if you perform well during the evaluation and the instructor is happy about it, you will receive your certificate and/or operator card at the end of the course. You will also receive your statement of attainment and notice of assessment from the trainer who conducted the training. You can obtain one from the RTO where you took your training from. You can also get a copy of this form from the Australia Post and from WorkSafe Advisory Service. A reminder when you are submitting the application: Only use black ink when completing the form, use capital or block letters to make the details readable, do not sign the form yet, it should be signed in front of the Australia Post officer upon submission of your application, the officer needs to witness it. Statement of attainment and notice of assessment – you will be given this documents when you completed the training course. These are to be given by the RTO or trainer who conducted the training course. A primary document you can submit is equivalent to 70 points. Such documents are your birth certificate or birth card, citizenship certificate, passport, or an international passport. While for secondary documents with 40 points equivalent are your driver’s licence, firm arm licence with photo, learner’s permit, social security card, federal government ID, and department of veterans’ affairs card. The RTO where you got your forklift training from will issue you this document upon successful evaluation. The photo should not be 6 months old. Don’t attach it to the application form. The photo will be attached by the Australia Post Officer upon submission of the requirements. As of this writing, for a new application, the fee is $65. The fee is the same for all high-risk work classes. You will have to personally lodge your application for HRW licence in the nearest Australia Post this is because the officer will have to witness that you sign the application. Bring all the documents we mentioned above. An incomplete requirement will cause you to delay and waste your time. So be sure you have those requirements with you. The post officer will check the application form and scrutinize the requirements. When the officer found it in order and complete, you will then be asked to sign the application form. Keep the receipt issued by the Post and retain the pink copy of the notice assessment this will serve as your interim licence, proving that your application has been submitted and being processed just waiting to arrive. The Australia Post will send your application to WorkSafe. It may take up to four (4) weeks before you can receive your HRW licence at your address you specified in the application form. How Much Would It Couse You to Get a Forklift Licence? First, you have to understand that there are two (2) classes of forklift licence you can get – LO licence and the LF licence. The main reason there is variation is that each type of forklifts handled differently. If you intend to operate a standard counterbalance truck, you will need an LF licence. The LF is for an operator of a forklift truck equipped with lifting materials made up of a mast, and elevating load carriage and attached to this is a pair of fork arms. While an LO licence is for operators of VNA and order picker, a machine that requires its operator to wear a harness and that the controls are incorporated within the load carriage. You need to understand these two of licenses as the training course you have to take should be specific to the type of truck you intend to operate. The training course fees also vary depending on the forklift you want to get certified for. The fee also depends on the skill level you have. If you are an absolute beginner, the course usually cost around $350 to $400, while for an experienced individual, the cost usually is cheaper at around $300. If you are in a group, you can bargain for a discount. In a circumstance you fail the evaluation tests, you may have to pay an additional $100 to redo the assessment. The additional cost you have to pay is the application of HRW licence as it entails an extra $65 application fee. In total, you will have to spend roughly $400 to take the training course and to apply for HRW licence. I’m a Holder of an Old Certificate, Can I Still You It? The old-style licence and certificate of competency is no longer being recognized under the current Victorian rule and therefore can longer be used as a permit to operate heavy machinery such as forklifts. Those certificates cannot be transferred anymore to a high-risk work (HRW) licence. If you desire to have an HRW licence, you need to undergo forklift training and pass the certification exams, meaning you have to start from scratch. Taking the certification process involves attending the classroom lectures, practical or hands-on demonstration and evaluation procedures. You may be asking is being a forklift operator a good job to get into? Being a forklift driver has many benefits. One of the obvious is the pay is good and it only takes days to complete the certification course and there are various employment opportunities you can get into. Many businesses in Werribee require talents like you. Forklifts are necessary pieces of equipment needed in just about every aspect of business operation, especially in the logistics and warehousing industries. To get the knowledge and practical skills required to do the job, you have to get a forklift licence in Werribee. The licence together with your experience are the ones you need to qualify for this rewarding job.